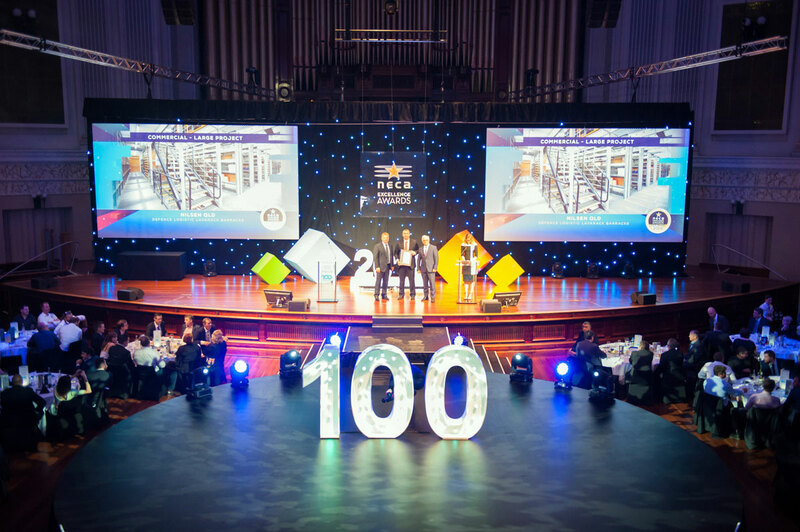 The Queensland team have again been successful in the Commercial Large Project category for the NECA Queensland Awards. The Defence Logistics Transformation Project (DLTP) at Lavarack Barracks was delivered as part of an initiative to modernise and enhance Defence’s warehousing and distribution functions across Australia. Nilsen’s scope included demolition, refurbishment and an associated site infrastructure upgrade. The scope also included eight new buildings which Nilsen staged to minimise impact to the facility. Spread across 13 locations on Australia’s largest Army Base, the two and half year project showcased Nilsen’s skill in performing cooperatively, resourcefully, diligently, safely and on time.